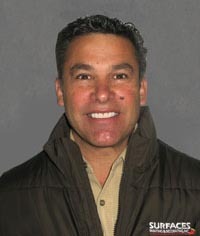 James Davi is the founder and President of Surfaces Painting & Decorating, Inc. James was born in San Francisco and has resided on the Monterey Peninsula for over 35 years. James attended Monterey Peninsula College where he graduated with an Associate of Arts Degree. He then transferred to California State University, Sacramento, where he graduated with a Bachelor of Science Degree in Business Administration with an emphasis in Real Estate and Land Use. After his college graduation, James moved back to the Monterey Peninsula and started a painting business called, "James A. Davi Painting & Repair." His creativity and enthusiasm for the painting trade led him to acquire his Painting License C-33 and change his company name to "Surfaces by James Davi." As his experience increased and the company goals evolved he established Surfaces Painting & Decorating, Inc.
James is a national member of the Painting and Decorating Contractors of America (PDCA) and the Builders' Exchange of the Central Coast (BXCC). James has received many certificates of recognition over the years for his service in the community and construction industry. In 2001, James received the "Construction Person of the Year Award" from the BXCC of the Monterey Peninsula. Lisa M. DeMarchi has worked at Surfaces Painting & Decorating, Inc. for over 16 years and is responsible for the financial operations at Surfaces Painting & Decorating, Inc. Lisa started her career as an Auditor, then Systems Manager for the Sheraton Corporation, which eventually relocated her to the United States where she worked and opened several Sheratons across the U.S.
Lisa holds a Bachelor’s Degree in Economics from McMaster University in Hamilton, Ontario and a Juris Doctorate from the Monterey College of Law. 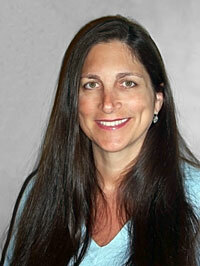 She later went on to pass the California Bar Exam in 1997. Lisa has also attended many seminars within the Painting Industry, further diversifying her education.